Have you, a family member, or friend been arrested for driving under the influence in Alameda County or Contra Costa County? If so, you may be asking yourself this question: “Is a DUI a felony?” The answer is, it depends. Was the DUI A Felony Or Misdemeanor? Although a DUI, or Driving Under the Influence charge, may be a “cut-and-dry” situation for some people, the reality is that the consequences of the DUI all depend upon if the driver was charged with a felony or a misdemeanor. There's no doubt that being charged with a DUI is cause for concern, especially if it's your first time, but the reality is that most 1st, 2nd, and 3rd time DUI convictions are often charged as misdemeanors. Regardless of how many DUIs you've had in the past, the most important thing that you should do after being arrested for a DUI is to contact an Alameda County and/or Contra Costa DUI attorney because your attorney will provide you with peace of mind and the legal representation that you need so you can have confidence in knowing that someone is representing your best interests during this trying time in your life. What Is A Driving Under the Influence (DU) Charge? In this day in age, it's easy for most people to think that a driving-under-the-influence (DUI) charge is the result of a person consuming alcohol before getting behind the wheel and then eventually being pulled over by a police officer after they've been found to be driving erratically or caused an accident on the road. Sadly, due to the legalization of recreational marijuana in the State of California, driving under the influence doesn't just fall under the classification of just alcohol any longer. A DUI can also mean that a person is found to be under the influence of drugs or even a combination of drugs and alcohol when they get pulled over. To clarify the word “drug”, in the State of California, a drug can be classified as a “legal or an illegal substance” so it's entirely possible for a driver to be charged with a DUI even if they've had prescription drugs in their system because, if that drug is found to have impaired an individual's ability to drive safely, they will be charged with driving under the influence. One clear sign of if a person is intoxicated or not in the State of California is if they have a blood alcohol content (BAC) of .08 or higher when they are pulled over and charged with driving under the influence. The standards for driving under the influence are much stricter when an individual is driving a commercial vehicle. For example, let's say that you're a truck driver who drives 18 wheelers and you were pulled over for driving erratically, if you're found to have a blood alcohol content of .04 then this is considered to be “under the influence” for a driver of a commercial vehicle. This law went into effect in July of 2018 and the same standard that's applied to drivers of commercial vehicles can also be applied to drivers who carry paying passengers in their vehicles like Lyft or Uber drivers. They too can be charged with a DUI if they're found to have a BAC as low as .04. Yes, the blood alcohol content of a driver is vital when they are pulled over and eventually charged with a DUI but, what about a driver who is under the age of 21? If that individual is pulled over for a DUI and their blood alcohol content is found to be as low as .01, that individual will be considered to be intoxicated. The tough standards for DUI’s in California are understandable considering that alcohol driving fatalities jumped 16.3% from 2015-2016 and the DUI statistics seem to go up every year. What is the source for this? Alcohol is one of the worst things to consume before getting behind the wheel because it’s easy for any driver to think that they can handle driving after consuming alcohol. What most drivers don't know is that they can still be charged with a DUI even up to three hours after consuming alcohol. That means that your blood or breath content can be analyzed up to three hours after the alleged driving time. Do you think that Driving Under the Influence can only be associated with just freeways or paved roads in the state of California? The answer is no. 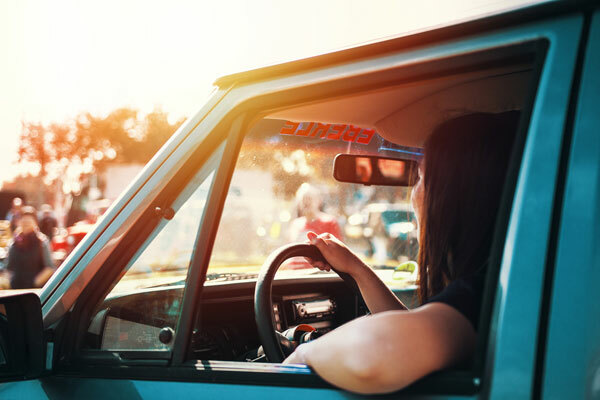 California law specifies that it is considered to be illegal to be driving under the influence of alcohol regardless if you're driving on a paved, unpaved road or operating a vehicle on the water in California. This means that a driver who consumes an alcoholic beverage can be charged with driving under the influence even if they are driving an all-terrain vehicle, quad, dirt bike, or a vehicle that can be operated on the water like a boat or jet ski. This also applies to electronic scooters, including Lime and other similar companies. Some people have even been arrested for DUI while sitting in their vehicle and charging their phone. Police officers might arrest a driver for DUI if the driver has the keys in the engine and/or the engine is running while the driver is allegedly under the influence. What is the DUI Felony? What are the Misdemeanor Charges and Penalties in California? Going back to the question “is DUI a felony?”, the answer to this question depends upon your prior record before getting charged with a DUI and circumstances surrounding your current arrest. Let's say that you recently been charged with a DUI; in this case, the arresting officer will generally take away your physical license and give you a pink piece of paper that is a temporary driver’s license. Individuals who are charged with a misdemeanor conviction can expect their driver's license to be suspended for up to six months in court although depending upon the circumstances of their DUI charge, a driver can request a restricted license with the DMV that will allow them to drive to work or school and any DUI programs ordered by the court. Every DUI charge is different because each case is heard by a different judge and it's not uncommon for a judge to send a driver to jail for up to 48 hours or six months following their conviction but, in most cases depending upon the driver's record, it's quite possible that if it's a first time DUI charge the judge will offer probation for a period of three to five years and no actual jail time. A DUI lawyer can help negotiate no jail time and ask for the Sherriff Work Alternative Program. The court can also impose completion of a DUI education program for either 3 months, 6 months, 9 months, and in cases with multiple DUIs, 18 months. That total length of the program will also depend upon the driver's blood alcohol content at the time of their arrest. Now that we've gone through misdemeanor and felony DUI charges, let's talk about fines. A first time DUI misdemeanor conviction can carry a significant fine between $390 to $1,000 plus a variety of penalty assessments which can run anywhere from $1,500 to $2,500. Another thing to comprehend before getting behind the wheel after you've had one or more alcoholic beverages is that besides the potential jail time and DUI conviction, in Alameda County in order for a driver to get their license reinstated they most likely will be required to install a device on their vehicle called an ignition interlock. With this device, the driver will be essentially required to take a breathalyzer test every single time before they're able to start their vehicle and if they are found to be legally over the limit, their vehicle will of course not be able to start up. The good news is that these devices do save lives and drivers who have them installed on their vehicles are often required to keep them installed for a period of up to six months following their DUI. Unfortunately, due to the social nature of alcohol and the fact that alcoholism is also a disease, it's quite possible that many drivers who are on the roads today have been pulled over and charged with multiple DUIs. When it comes to having more than one DUI, the penalties get harsher each time. For example, drivers who have multiple DUIs could face up to one year in jail but, in most cases, alternative sentencing programs may be available like work programs or house arrest, but these programs must be negotiated by your Alameda County or Contra Costa County DUI attorney. Another thing a driver must consider if they are arrested for multiple DUI's is that they could face losing their driver's license for a period 2 years but as we stated above, it's quite possible that a driver can apply for a restricted license which could be used for commuting to and from work, or to and from school. Each time a driver is charged with a DUI the stakes get higher. For example, with a third Driving Under the Influence or DUI misdemeanor conviction, a driver can expect to pay the same number of fines and assessment as before but their time in jail will increases and they could possibly face up to 364 days in jail or 30 days in jail with probation. There's no doubt that in the state of California drivers get ample opportunity to get their lives on the right track after they've been pulled over and charged with DUIs. In California, a driver can have up to three misdemeanor DUI convictions but, what happens if a driver is pulled over a fourth-time? In this case, a fourth DUI conviction will automatically result in it being a felony conviction. Felony DUI convictions bring with them increased time in jail and a wide variety of-of other penalties. Although the circumstances vary from Individual to individual, it's quite possible that a felony DUI conviction can result in the driver spending up to four years in prison and the revocation of their driver's license for four years as well. So far, we've discussed a wide variety of consequences and charges that can come from driving Under the Influence, but we haven't discussed what happens to a driver who's driving under the influence and causes the injury or death to other drivers on the road. If a driving-under-the-influence charge results in the death of another individual, that DUI charge will be changed to vehicular manslaughter, or quite possibly even second-degree murder. Depending upon the circumstances of the case, a driver who is found to have caused the injury or death of another driver while they were Driving Under the Influence could possibly face prison time. Once their time has been found have been served, they will most likely be required to complete drug or alcohol education treatment and their driver's license will still be revoked. When it comes to driving under the Influence charges, each case is different. Let's say that an individual is charged with a DUI after they've been found to be driving the wrong way on a highway and their intoxicated driving resulted in the death of another driver. Depending upon the drivers prior DUI convictions, they could serve time in prison including a wide variety of fines and penalties. There's no doubt that the stakes are high for drivers in Alameda and Contra Costa county were found to be driving under the influence and there's no time to waste. If you've been charged with a DUI recently, you owe it to yourself to contact an Alameda and Contra Costa county DUI attorney as soon as possible because, your attorney will be your best advocate and they will negotiate a plea deal on your behalf so that if it's a first-time offense they may be able to ensure that you will not have a felony on your record plus they could possibly be able to have other penalties negotiated as well so that they are less severe. Thanks to a recent report titled “Crime in California” we know that in 2017 alone, there were close to 5,000 adult felony arrest for driving under the influence. The statistic represents a 5.1% drop in arrests from 2016 and although the DUI statistics were lower in 2017 than they were in 2016, driving under the influence in California still remains a major problem but the good news is that progress is being made when it comes to stopping drivers from getting behind the wheel while intoxicated every year. For drivers that have been recently charged with a DUI, it’s important for them to remember that there are a wide variety of steps between getting arrested and convicted for a DUI especially if the driver is in Alameda and Contra Costa county. After being arrested for a DUI, it's imperative that every driver hires in Oakland DUI attorney immediately because, a DUI conviction can also result in a revoked driver's license, probation, fines and a huge impact in many areas of their life. 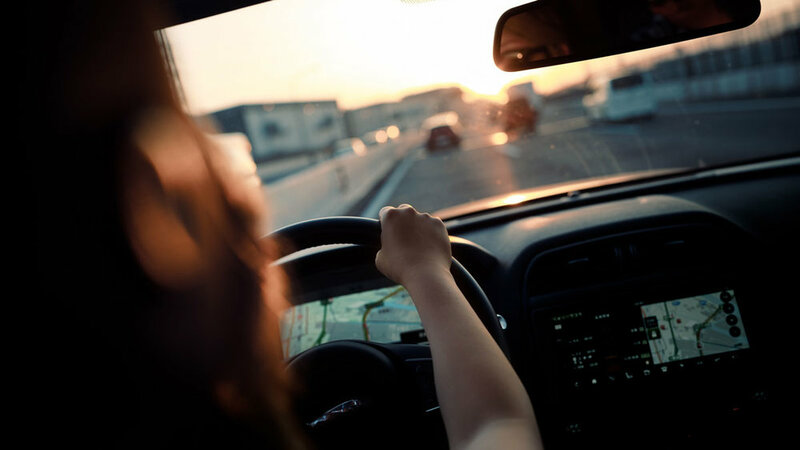 A DUI conviction can also have adverse effects on a driver’s professional life since that conviction can impact a driver’s ability to get licensed, certified in their chosen profession or staying qualified for financial aid so that they can go to school. Don’t let a DUI stop you from accomplishing your goals or doing what you want to do in your life. Contact an Alameda and Contra Costa county DUI attorney today to get the best possible legal representation.